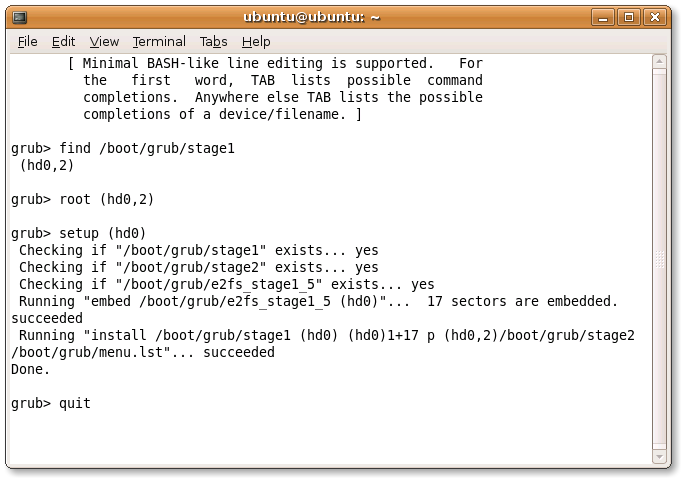 Restoring Grub with a Ubuntu Live CD. You are going to need the Ubuntu Live CD. Insert the Live CD and boot into Graphic Mode. Look for your grub files location. The returned value from the command above is used for the command below. Scan the partition. Close Terminal and Restart. Grub will starts back again. I took a snap shot of this whole process. Take a look.